Welcome to the most rewarding Newsletter you've ever been a part of! As a way of rewarding our loyal newsletter subscribers, we’ve recently launched a monthly prize draw! Every month, one newsletter subscriber will be chosen at random to win a mystery prize. Some months it could be a bottle of Barolo, others could be a whole case of fizz. All you need to do is make sure you’re signed up to our newsletter, it’s that simple. We’ll keep you updated about the competition each month via email, including which prizes have already been given away, and who was lucky enough to take them home! Terms and Conditions do apply, simply read on to find out more. The Wines Direct monthly prize draw is free to enter. To be eligible for the prize draw, you must be signed up to the Wines Direct newsletter. By signing up to the Newsletter you allow us to contact you with news and promotions from Wines Direct and on behalf of our partners. Entry is open to residents of the United Kingdom excluding employees of WinesDirect and any other companies associated with the prize draw. Entrants must be aged 18 or over due to the nature of the prize. Participants must be able to provide, when requested, documentary proof of their age. A prize winner will be picked at random from those who have signed up to the Newsletter at midday on the 15th day of each month. The winner will be notified by email. All reasonable effort will be made to contact the winners. However, if any of the winners cannot be reached within 48 hours, an alternative winner may be chosen, subject to the same terms and conditions specified herein. The prizes are not transferable to other individuals and no cash or other alternatives will be offered. Automated, third party or bulk entries are strictly prohibited and will result in disqualification. 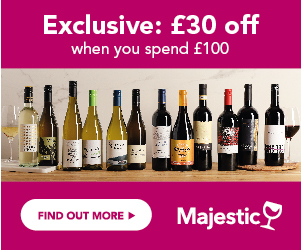 Winesdirect.com reserves the right to terminate or suspend this promotion in the event of technical or other difficulties that might compromise its integrity. By signing up to the monthly prize draw, the entrant agrees to be bound by these terms and conditions.